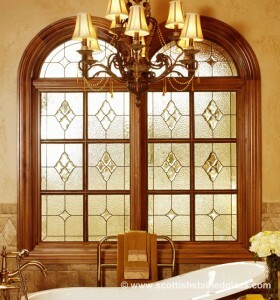 We are proud to bring our custom designed, hand crafted stained glass window designs to the citizens of Pearland TX. Whether for a home, a business or a church, we work together with the client to create the designs and styles that they love. Our stained glass is crafted entirely by hand. We use the most modern CAD software to create the blueprint for the design, once the client has decided on exactly what they want. We source our glass from the best manufacturers and clients have literally hundreds of colors and types of glass to choose from. We meet with homeowners in the comfort of their own homes to design the stained glass windows that will elevate the décor in any room of the home. 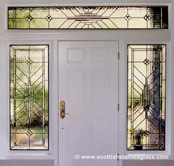 Stained glass is used not just to add beauty, elegance, and uniqueness to a space but also to add privacy, for instance in the home’s entryway or bathroom windows. Our stained glass can be built in any size or shape, to the homeowner’s tastes and specifications. Stained glass is not just for windows. Stained glass doors, hanging panels and signs, skylights, partitions, ceilings, lighting, and more can be designed to take any commercial or retail space to the next level of beauty, elegance, and distinctiveness. We create custom designed stained glass for offices, restaurants and bars, shops and salons, hotels and B&Bs, theaters, and any other commercial space looking to add a wow factor. Churches and other houses of worship have a long tradition with stained glass, dating back to the Middle Ages. Stained glass is popular in Texas in churches of every denomination. Our stained glass can be made in any design, from the most traditional Bible scenes or images of icons and saints, to something more modern and less literal. Stained glass inspires and uplifts and adds something indefinable to the worship experience. We work with your budget to create gorgeous stained glass artwork for one window or a whole wall of windows, or anything in between. It is an honor to bring our custom designed and hand crafted stained glass to Pearland TX churches, cathedrals, chapels, rectories, sanctuaries, Bible schools, and temples. Speaking of temples, if you are visiting Pearland, you might want to visit The Sri Meenakshi Temple, the only Hindu temple dedicated to the Goddess Meenakshi outside of India. The Temple is known for its beauty and ornate detail. We have over two decades in the custom stained glass business and an A+ rating from the Better Business Bureau. We’re known for our unique designs, highest quality craftsmanship, and passion for outstanding customer service. To make an appointment with one of our Houston designers for residential, commercial, or religious stained glass, we invite you to contact us today.